Seymour’s intention in writing this book was to create a systematic series of lessons that teach the various gestures or choreography at the piano. 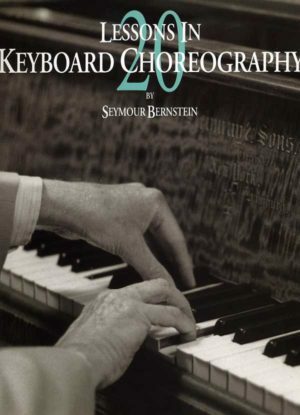 Seymour’s intention in writing this book was to create a systematic series of lessons that teach the various gestures or choreography at the piano. Interpreting musical elements such as slurs, staccatos and rests, to name just a few examples, requires various combinations of vertical, horizontal and rotational movements. The repetition of specific choreographic movements also plays a vital role in making memory secure. The first part of the book contains information about the piano mechanism itself. The second part contains the actual 20 lessons which cover hand and body posture, the arm, forearm and wrist mechanism, and the thumb. The book contains in depth descriptions, photos and musical examples to describe many coordinated movements at the keyboard. This is an excellent book for all piano players.